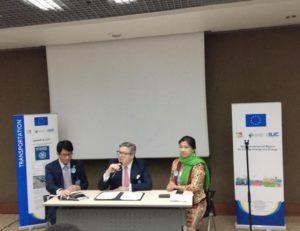 The Global Covenant of Mayors for Climate and Energy in South East Asia (GCoM SEA) held a regional networking event titled “Inclusive Climate Action for Sustainable Cities” within the Asia-Pacific Forum on Sustainable Development (APFSD). The event focused on promoting inclusive climate action which could drive better environmental outcomes and social and economic co-benefits. H.E. 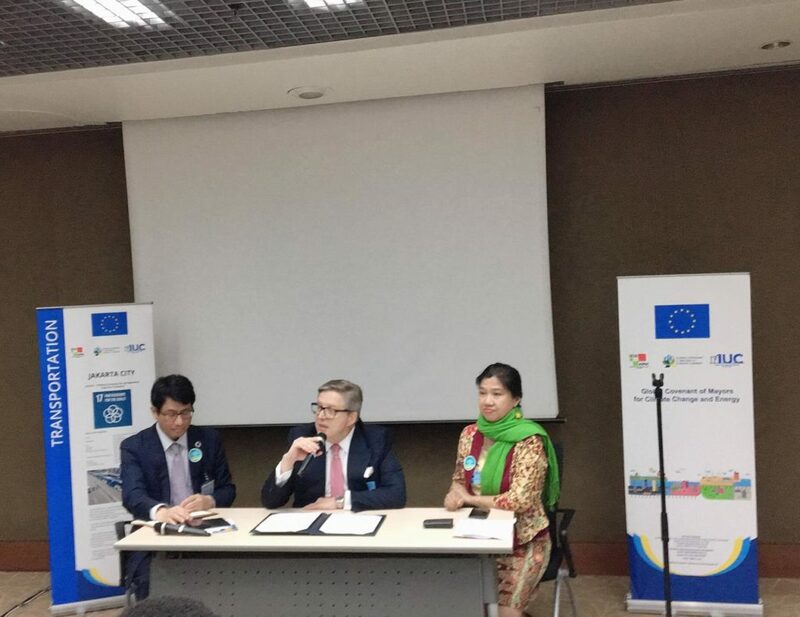 Pirkka Tapiola, Ambassador of the European Union (EU) to Thailand, highlighted EU’s long standing and very close relationship with the GCoM, specially within the IUC project that supports GCoM implementation in Asian Cities. He also underlined the key role of local authorities committed under the GCoM’s to reduce 1.2 billion tons of CO2 compared to the Business as Usual Scenario (BAU). Bernadia Tjandradew (Secretary General of UCLG ASPAC, the host of GCoM SEA Secretariat), welcomed delegates and stressed the opportunities of city-based climate interventions for the economy and the creation of up to 65 million jobs. 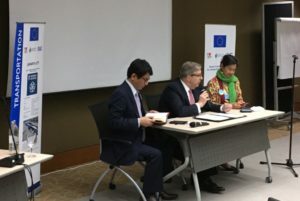 Atsushi Koresawa (Director of the Regional Office for Asia and the Pacific UN-Habitat) stated the importance of the GCoM as a network, in alignment with UN agencies’ pursuit of the Sustainable Development Goals. The Panel Discussion provided on-the-ground cases in the growing field of inclusive climate action by C40Cities, Iskandar Regional Development Authority, Malaysia (IRDA), and three city cases (Banda Aceh, Indonesia, Naga City, Philippines and Seberang Perai, Malaysia). 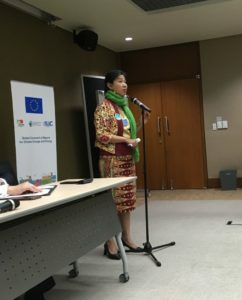 Jacqueline Lam, C40Cities Deputy Regional Director for East, Southeast Asia and Oceania showed the framework of the emerging themes of inclusive climate action. She further highlighted the three pillars of inclusive climate action. 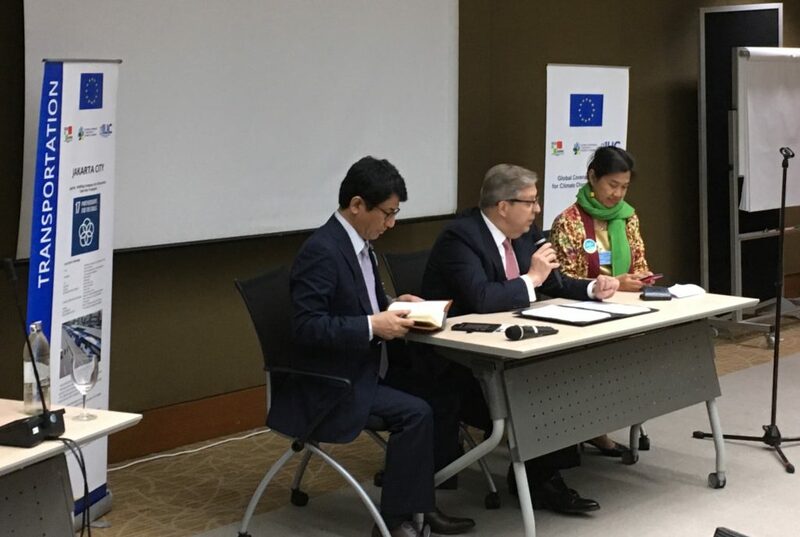 On inclusive climate action, C40 implements three of activities: Knowledge Production and Thought Leadership, Bespoke Technical Assistance on Climate Action Plan, Peer-to-peer Exchange and Global Diplomacy. 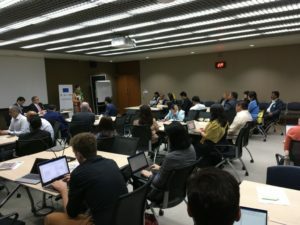 Three cases were presented: “Sydney Builds Trust With a Unique Community Engagement Strategy”, “New York City Tackles The Urban Heat Island Effect in its Most Vulnerable Communities”, and “Barcelona Puts Climate Justice at The Heart of The Climate Planning Progress”. The cases highlighted: 1) Effective mitigation and adaptation to climate change only happens with the broad support of the population; 2) a strategic focus on environmental justice citizen coproduction; and 3) specific outreach to target vulnerable groups. Velerie Siambun, Vice President of the Environment Division at IRDA, introduced and updated on Iskandar Malaysia Low Carbon Society Programme which blended holistisch “Wealth Sharing and Inclusiveness”, “Resource Optimisation and Low Carbon”, and “Wealth Generation”. The heart of inclusiveness is the amalgamation of “low Carbon Lifestyle” and “Community Engagement and Consensus Building” toward the “Green Community”. Inclusiveness in the climate actions in Iskandar Malaysia was reflected in two main programmes: 1) Elements of Education for Sustainable Development with the target audience of Primary schools (teachers and pupils), parents, public community; and 2) Leveraging of the Bus Rapid Transit (BRT) system which is designed as the backbone of the public transport system in the City. Hon. John G. Bongat, the Mayor of Naga City, Philippines presented a short documentary video. 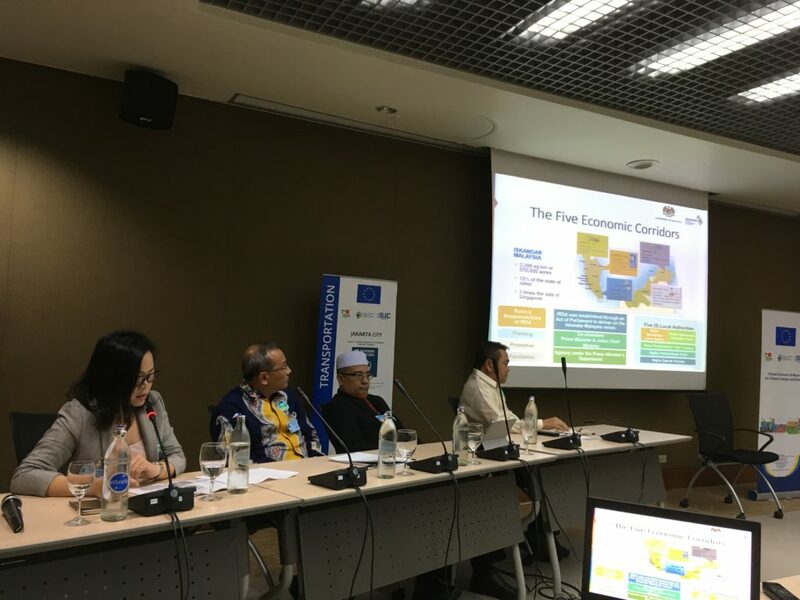 The Naga City has established the inclusive climate action in its resilience program based on among others, a proactive collaboration between the academe, policy makers, and other stakeholders for informed and science-based governance. The short documentary presents us with Naga City Government approach in inclusive climate actions in building the City’s resilience. Ir Bahagia Dipl. SE, the Director, Banda Aceh City, Indonesia presented policy-based and the implementation of inclusive climate actions. 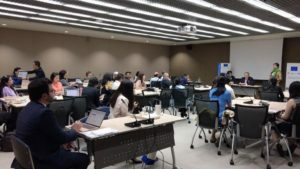 A number of regulations have been developed to integrate inclusiveness: Forum for Women; Children-Friendly City; and Gender Responsive Planning and Budgeting. While the implementation covered the land use, waste, energy sectors. The City is also implementing the Low Carbon Model Town. 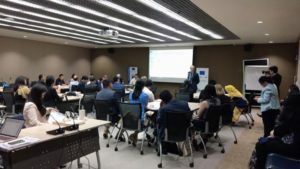 EU through IUC Asia Helpdesk and the GCoM Southeast Asia Secretariat hosted by United Cities and Local Government Asia Pacific had organised and supported the GCoM Networking Event.